Many sample book chapters also come as PDF files, as well as owner’s manuals or user guides. Today I’m going to be discussing how to open PDF files on iBooks that you received by email through the Mail App. Suppose you received by email a sample chapter of an interesting book you might want to buy. Of course, you will want to have a look at it first to be able to decide whether to buy it or not. Locate the email with the PDF file and tap on it. 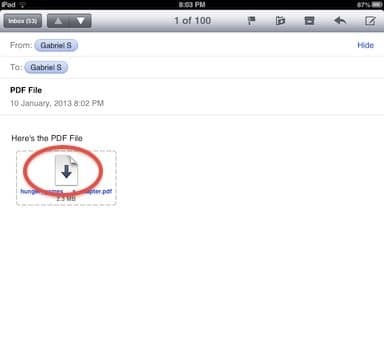 The PDF file gets displayed within the Mail App. Tap on the recently opened file. An action menu appears on the top right corner. Tap on the action menu. 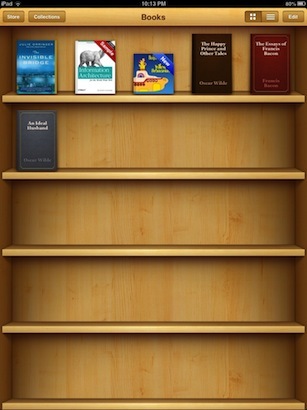 Then tap on the iBooks App icon. 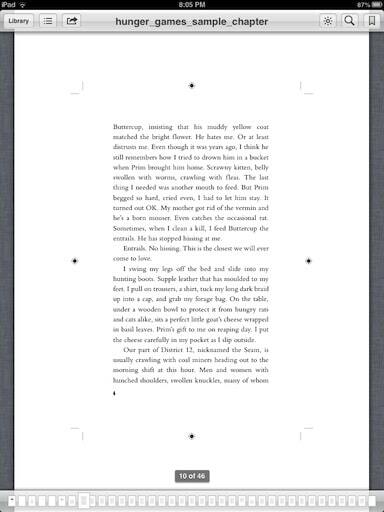 The PDF file opens on iBooks and will stay in your library for you to read. Stay tuned for another post on iBooks. Consider recommending this article to your family and friends by Email, Twitter or Facebook.